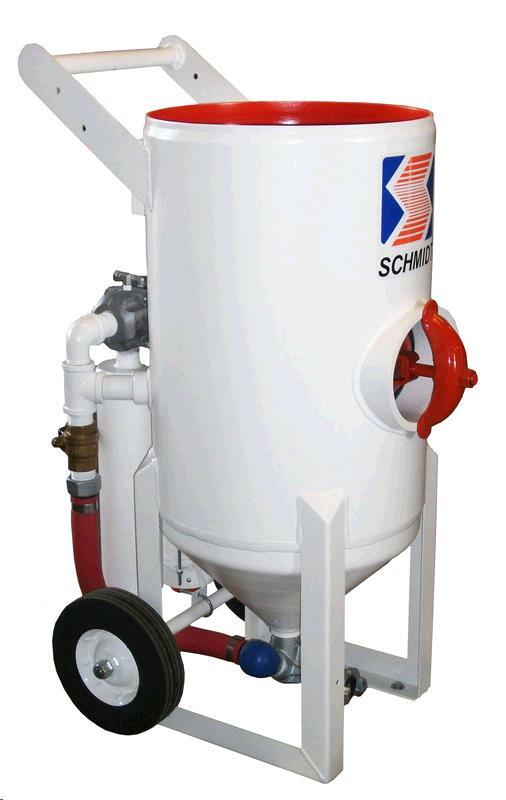 This machine is used for: surface preparation, removal of paint or rust, preparing stucco for a new coat, removal of cement to exposed aggregate, or profiling for better sealer or paint bonding. Includes strainer lid, 50' material hose with nozzle and water attachment, (3-5) air hoses, air filter with regulator and hood with smock. Add 185 c.f.m. compressor, if needed to pricing. * Please call us for any questions on our abrasive blaster rentals in Santa Ana and Orange CA.